Yeap! RDA (Riding for the Disabled) 2008 starts today! Let's see...Do I have everything needed? 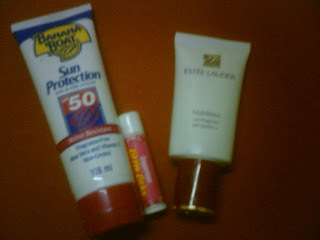 Sunblock for face, body and lips...CHECKED! 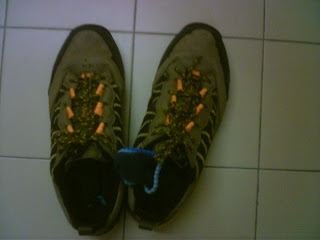 Friend (pic at left is Jiun Wei) to make the experience more enjoyable...CHECKED! You keep on rocking girl! and keep the posts coming in ya! Have loads of fun riding Daph...we used to ride ponies in Taiping and barebacked too, no saddles and after that, there very sore....but it was fun but not when a pony kicked me sans horse-shoe shod. I got to know your Blog from Ibu. Btw, I am from Ipoh too.. eeem.. Ipoh girl laa. My mom used to teach BM in Ave Maria for 14 years!!! I read about Chee Keong. You have such a kind heart. Not only you.. but the whole family of yours. It is very noble of you to help those unlucky ones. Bravo!!! Happy Belated Birthday.. and hope you enjoy the horse-riding trip!! remember to tell us about the event,with photos too. You said: "Ah, finally there is something for me to do that will be worthwhile..."
You're wrong with that statement sis... EVERYTHING you do is worthwhile. Keep up the good work, ya? And then come back and tell us about it! Will email you in a while, ya? Oh, no, I don't get to ride at all...I only walk with the horses and accompany the kids...=) I get to hug the horses and feed them though, and get plenty of horsey-saliva all over me! My mom used to be BM teacher in Main Convent before retired..he.he.. She used to tell us stories about how she ´chased´ her students away from Parkson Grand!!! 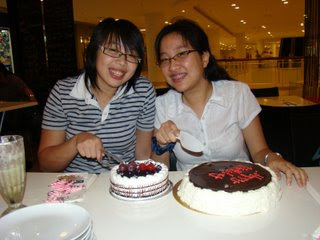 I emailed you...And I was one of those students who go to Parkson Grand...Hehe! 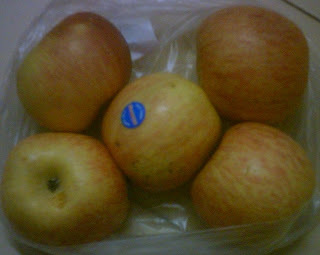 I did enjoy myself and will definitely blog about one of these days...=) Not so soon lar ya? So Daphne, you were one of the girls who made my mom lost her weight (.. due to walking up & down in Parkson Grand)..ha.ha.ha..